NY Squash organizes competitive Squash leagues between different clubs in NYC. 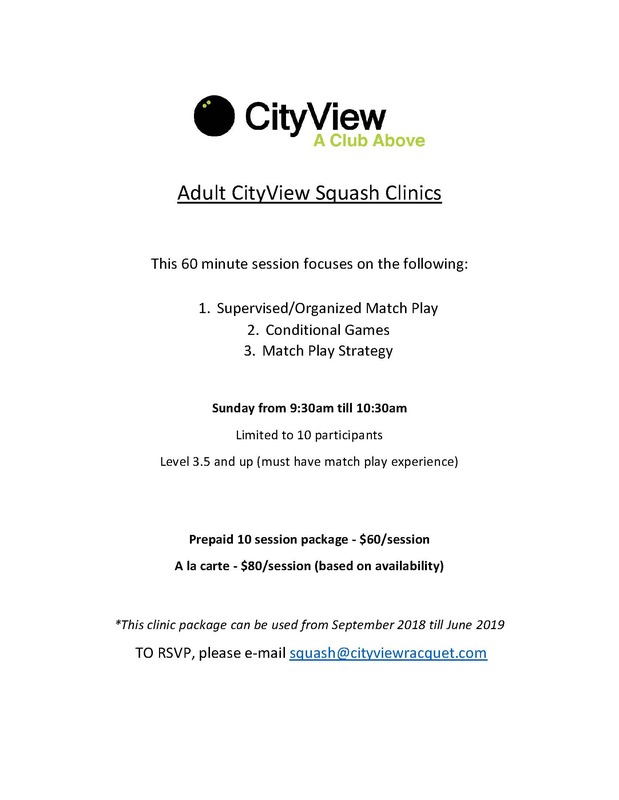 CityView teams of different skill levels have been avid competitors in the NY Squash leagues, winning multiple championships over the years. CityView teams of all skill levels have been avid competitors in the NY Squash leagues, winning multiple championships over the years. New CityView members are encouraged to join the roster of the appropriate skill level. This is a great way to be introduced to many players of your level. The CityView Box League is an in-house social league which gives our members the opportunity to meet and play competitive, social matches against other members of a same/similar playing level. Box league participants are placed into groups of 5-6 and play the other members at their own convenience within that calendar month. Matches are self-scheduled by the players to conveniently fit their schedule. There is a monthly charge of $10 for the box league.